A Facebook Terragraph network provides broadband access without cable or fiber. 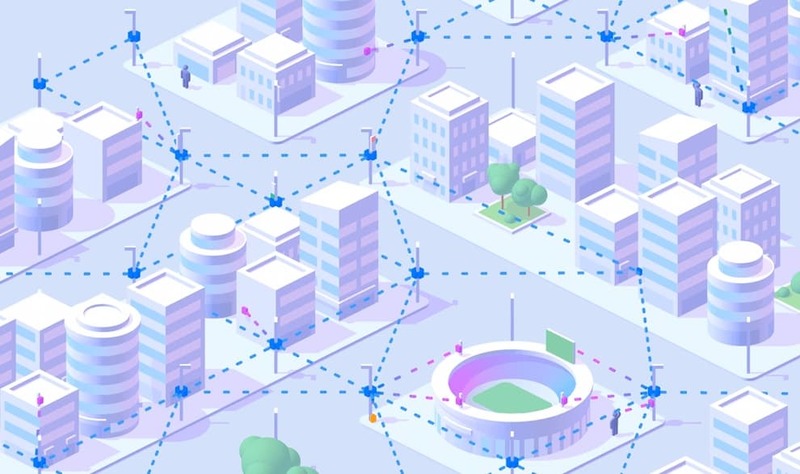 Facebook and Qualcomm are working together to provide high-speed connectivity to urban areas. They’ll use Facebook Terragraph technology to build a multi-node wireless system based on 60GHz technology from Qualcomm. The goal is to provide multi-gigabytes per second speed at a lower cost. This won’t be a new wireless tech built into your iPhone. Rather, Terragraph will use Fixed Wireless Access (FWA) to replace cable or fiber connections. Subscribers will have a home access point that then broadcasts Wi-Fi to a Mac, iPad, etc. Facebook promises it will be able to provide 4K streaming video at 25 Mbit/s, or download a 100 MB file in 3 seconds. “With Terragraph, our goal is to enable people living in urban areas to access high-quality connectivity that can help create new opportunities and strengthen communities,” Yael Maguire, vice president of connectivity, Facebook. This isn’t Facebook’s first foray into providing internet access. There’s Free Basics, the company’s internet service for developing markets. This provides access to a limited number of websites, including Facebook, at no charge. Company founder Mark Zuckerberg also has a long-term plan to provide internet access to the other four billion people on Earth who don’t have it now through drones. Its Aquila drone is in testing now. It’s not clear how Terragraph fits into this. But half the world’s population lives in urban environments, and this short-range wireless networking option could be used in both highly-developed and undeveloped countries. Facebook’s Terragraph technology provides broadband connectivity, and is based on the proposed 802.11ay standard, with a transmission rate of 20 Gbit/s to 40 Gbit/s and an extended transmission distance of 300 meters to 500 meters. Qualcomm expertise enables Terragraph to overcome large obstacles in dense urban environments. They chose the 60GHz spectrum because it’s unlicensed. It’s also the standard that 802.11ay is built for.